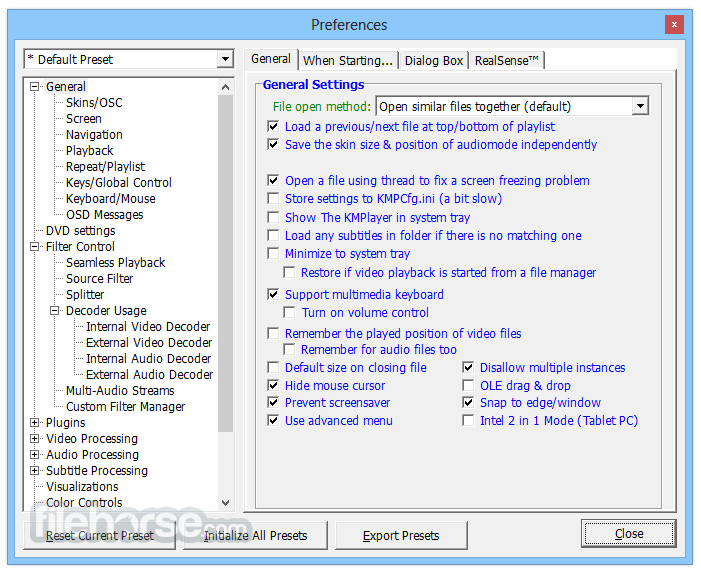 KMPlayer is a versatile multi-media player for Windows PC which can cover a various different types of contained formats. Without any separate Codec, you are able to play any media files because KMP has its' own internal Codec. Supported Codec are separated by internal & external. For the sound Codec, KMPlayer supports MPEG1, 2, AAC, WMA 7, 8, OGG & etc. and it additionally supports matrix function/normalizer function when internal sound Codec is being used. Internal Codec gets processed inside of KMPlayer so it’s faster & safer. Also KM Player supports all the Codec from ffdshow and it additionally supports MPEG1/2. 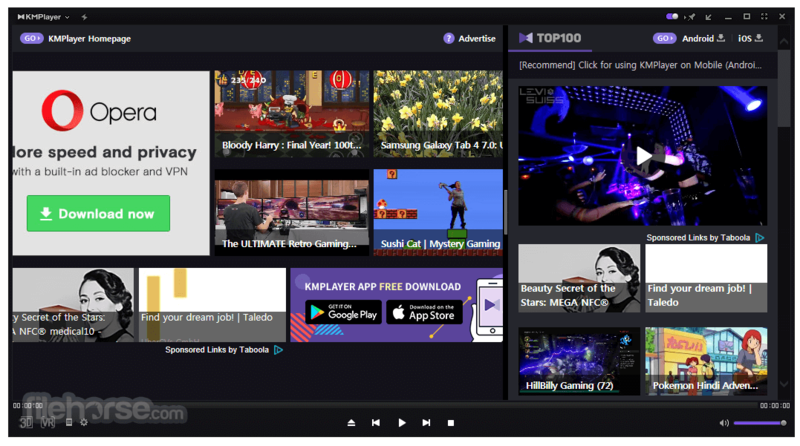 If you’re a user who finds it inconvenient to install Codec, who has a low CPU computer and/or a user who strives for an excellent multi-media playback player, you’ll be able to modify your environment to a convenient multi-media format by using KMP. It has an extra feature to play Incomplete/Damaged AVI file, Locked Media Files while downloading or sharing, Compressed Audio Album (zip, rar) and so on. It also supports WIDI, 3D, 4K and handles a wide range of subtitles and allows you to capture audio, video, and screenshots in many ways. You can download KMPlayer for PC offline installer from our site by clicking on free download button.